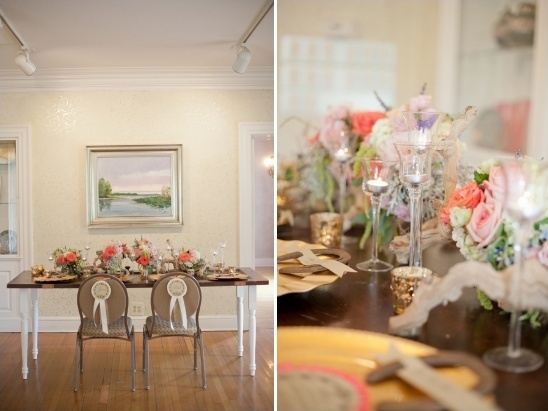 Danada House, a historic equestrian farm, was the perfect venue for this equestrian-themed affair. From the collection of vintage horse ribbons to the fabulous floral crown to the DIY prize ribbon menus, Kristen Janes of Kio Kreations clearly had a blast designing this rustic equestrian wedding! Pops of color and gold, combined with vintage and rustic decor create a luxurious setting that's sure to grab the hearts of all horse-loving brides. Visit the full gallery here to view more of these extraordinary equestrian wedding ideas, all beautifully captured by Hazelton Photography. 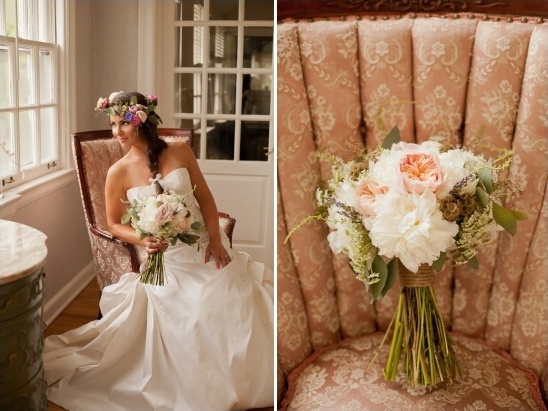 From Kio Kreations:Mary’s bridal look was achieved by incorporating soft hours in her makeup application to tie in with the beautiful wedding setting and romantic bouquet. 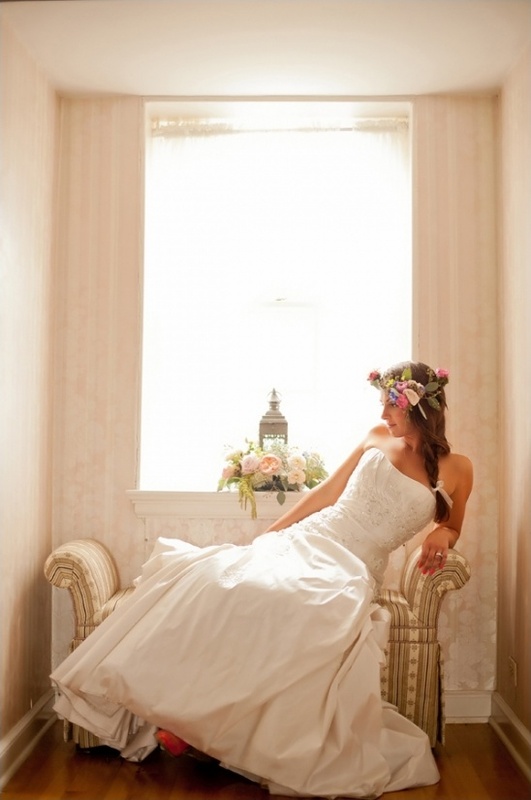 The look was completed with a side swept loose braid off her shoulder accented with a simple organza bow. 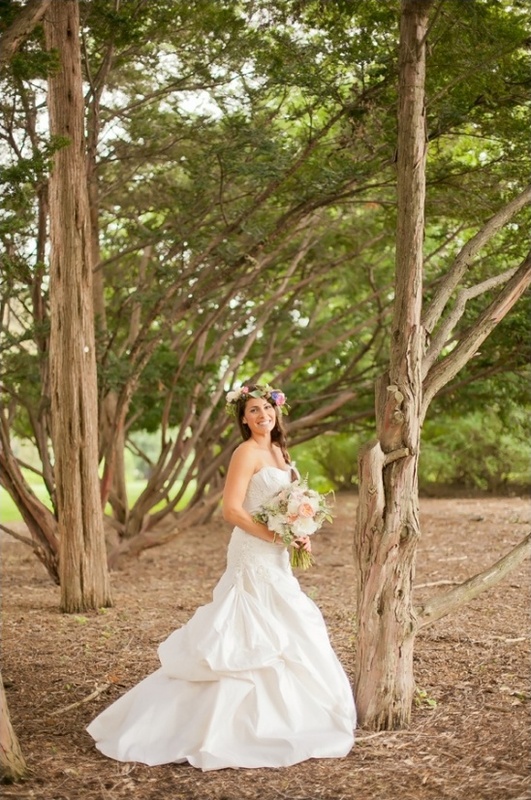 Her romantic dress had subtle jeweled accents on the bodice and a beautiful layered skirt. 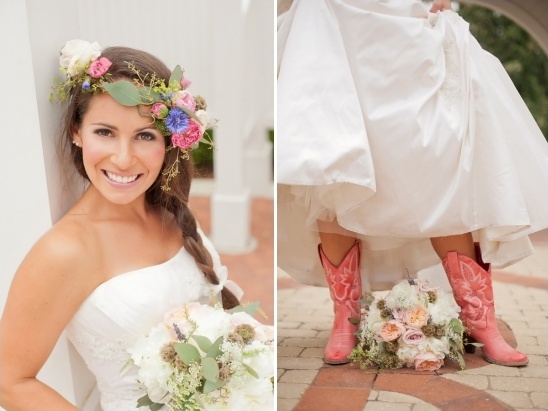 Mary’s elegant gown was juxtaposed by her playful pink cowboy boots that were showed off in some of the shots. 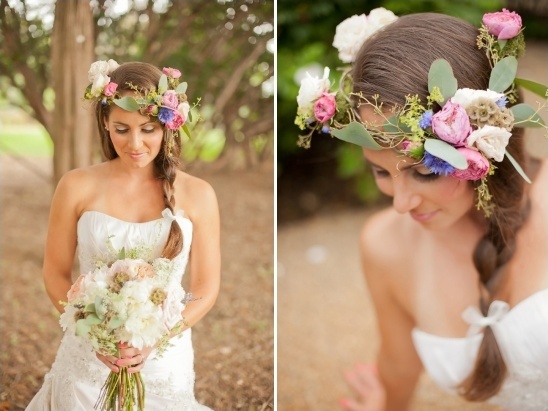 A rustic floral crown made with curly willow, seeded eucalyptus, spray roses, scabiosa pods, cornflower and moss adorned Mary’s head. 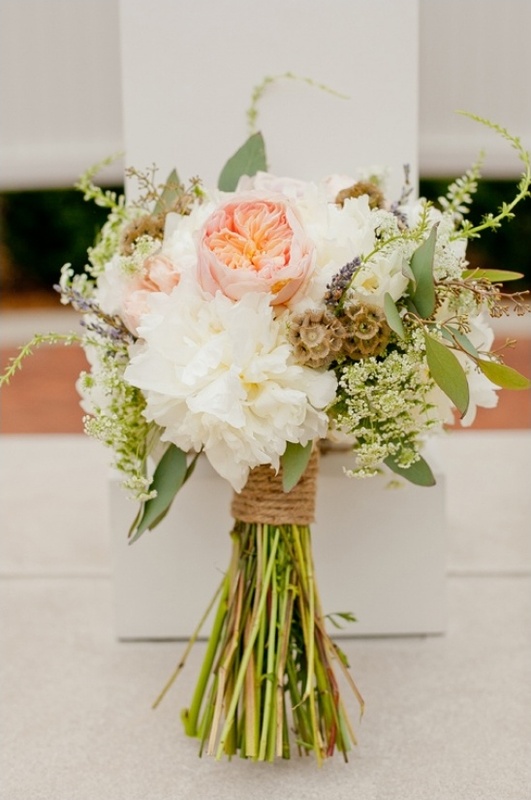 The entire bridal look was finished off with a fluffy, romantic bouquet full of rich textures and wrapped in rustic jute twine. The venue was absolutely the inspiration behind this stunning styled shoot we call “Rustic Equestrian Elegance.” Danada House is a historic country estate and equestrian farm in Wheaton, Illinois. It was even home to the 1965 Kentucky Derby winner, Lucky Debonaire, whose portrait still hangs proudly in the front room of the estate. With all of this rich history we felt an equine-themed affair was in order. 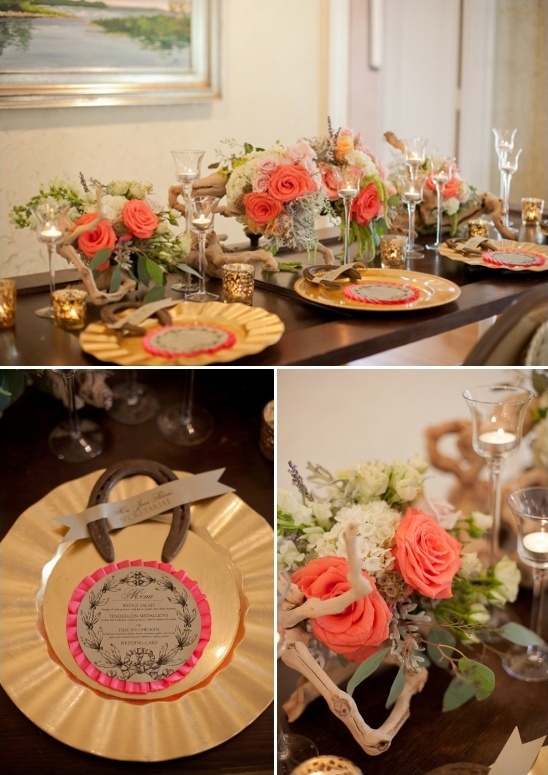 The wedding décor included a mix of lush colorful flowers, twisted grapewood, and rustic pieces. 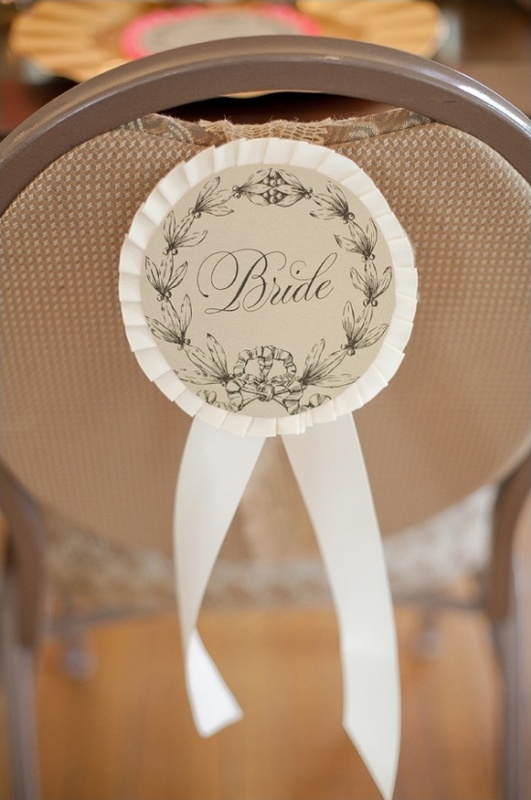 Many equestrian details were designed to emphasize the theme, including “prize ribbon” menus and bride and groom signs and vintage horseshoe place cards. 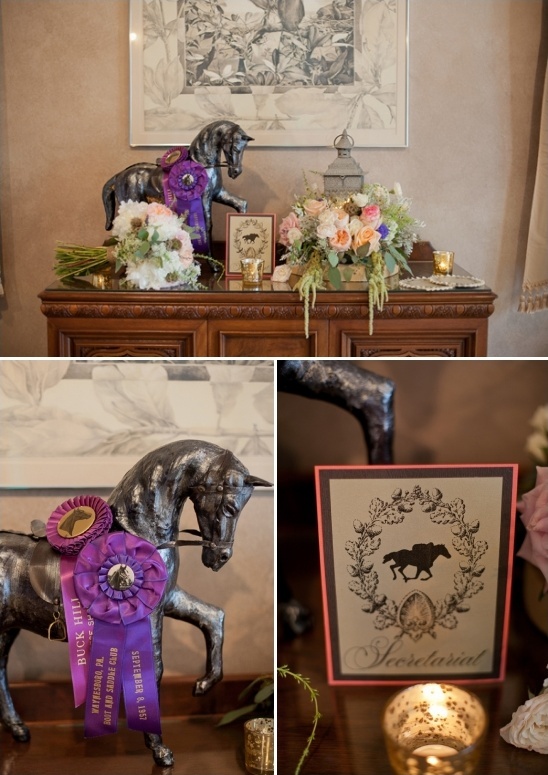 A collection of vintage horse show prize ribbons decorated the entryway display along with lush floral and a large horse statue. Floral arrangements with lanterns and grapewood branches adorned the tables with lots of gold mercury glass votive candles and delicate clear tulip candlesticks. 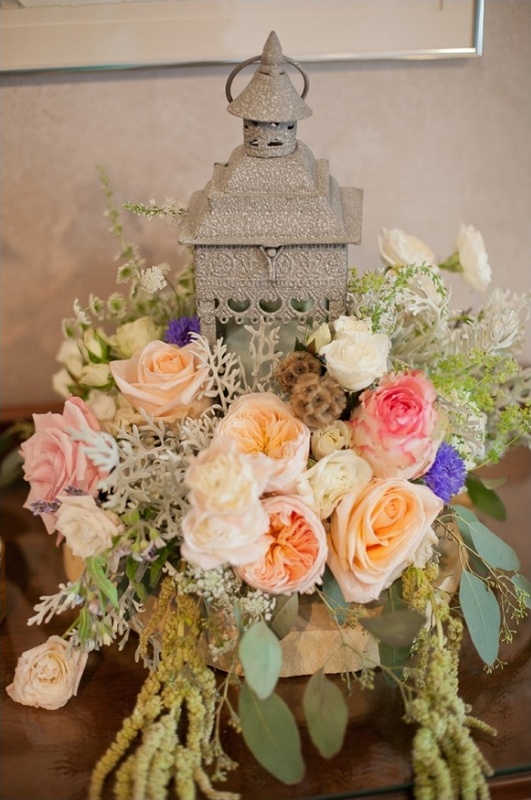 The lush and textural mix of flowers and foliage included silver sage, dusty miller, hydrangea, garden roses, spray roses, tweedia, cornflower, scabiosa pods, roses, queen anne’s lace, veronica, lavender herb, hanging amaranthus, and seeded eucalyptus. The horseshoe placecards were very simple to design — 1” slips of cardstock were printed with names and seating assignments and then the ends were notched out and slits were cut to slide the horseshoe through. They were very easy to make and added even more equestrian charm to the décor. The “prize ribbon” menus and bride and groom signs were made by hot gluing pleated ribbon trim in between two pieces of round cardstock. One piece of cardstock served as a backer card and one was the front printed piece. They are actually very easy to make! Kio Kreations was kind enough to give us the templates she created for the menus, place cards and table numbers to share with you. 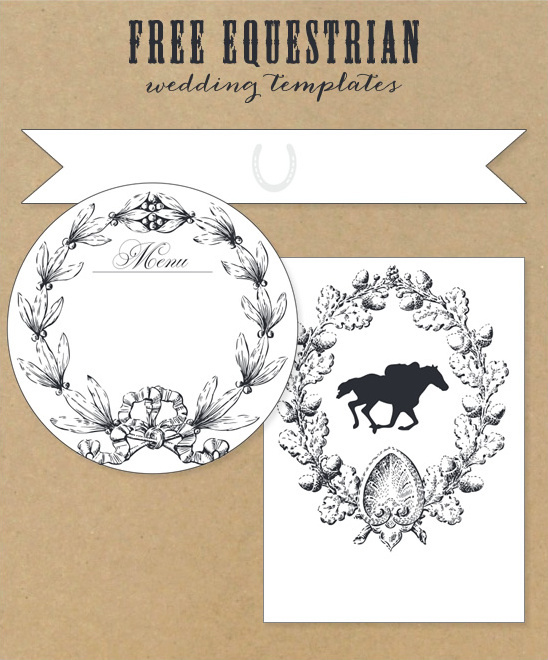 You can download the Equestrian Chic Menu template here, the Equestrian Chic Place Card template here and the Equestrian Chic Table Number template here. Happy creating!